We never knew them. And yet, we become encapsulated by their life. We never saw them. And yet, seeing their photograph is like seeing an old friend. We recognize their handwriting as if it was our own. We hear their voice through every written word. And we feel them holding the same paper in our hands. It’s an obsession that might strike once. Or it might be an obsession you just can’t shake off. Our CUA CHIM cohort recently completed the class Use and Users of Libraries with Professor Ya-Ling Lu. Each of us gave a presentation on the information seeking behavior of a user group of our choice. I chose genealogists. I discussed genealogists’ method for information seeking, the tools used, and their process for information sharing. However, I did not answer the question of why. Why do they do it? Why do they map out their family history? Why do genealogists spend endless days and nights obsessing over someone else’s life? Genealogists are not just searching for answers about someone else’s life, but they are searching for answers about their own. Creating a family tree is like creating a map to yourself. “Seeking information, seeking connections, seeking meaning: genealogists and family historians” written by Elizabeth Yakel discusses information seeking behavior of genealogists and also highlights some of the main reasons why people conduct genealogical research. Yakel states that genealogy is about making connections. 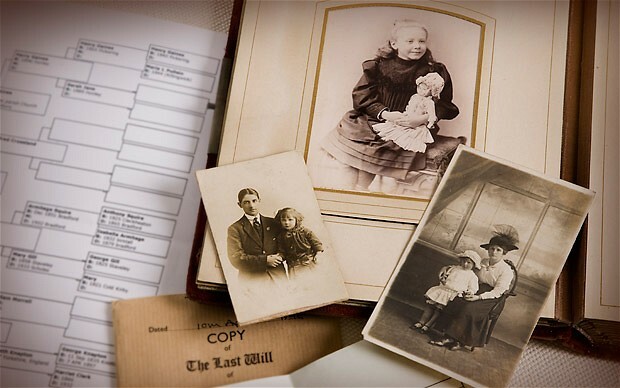 These connections are not only with ancestors, but with other genealogists. Yakel puts genealogists into three categories: The Narrator, The Archivist, and The Navigator. The narrator is someone who tells a story. The Archivist conducts genealogical research for the preservation of information. The Navigator creates maps of family connections, such as family trees. “My husband tends to be what I call a genealogist. He finds the name, and he’s got the birth date, and the death date, and the marriage date and that’s when he’s finished with that person. I tend to be a family historian.” (Genealogist 18, lines 144-147). Maybe this is the key to understanding why. By learning information seeking behavior, we can better understand their motives. We can begin to understand this need for searching, discovering, and finding ourselves. If you decide to take the plunge and start your genealogy journey, I recommend visiting http://www.ancestry.com/.